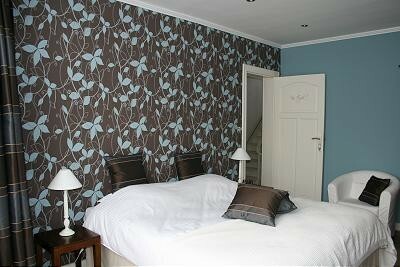 Visit Bruges and stay at the country inBed and breakfast Ter Brugge (guest house). 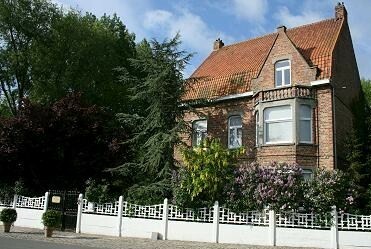 B&B Ter Brugge is peacefully and exclusif situated on the outskirts of Bruges and only 10 km from the Belgian coast, Ostend, Bruges, De Haan along the canal from Ostend to Bruges. The location offers many opportunities for walking and cycling, to culture in all is facets and to enjoy an exciting holiday. It is ideal for a holiday with a couple or family. The beaches (Oostende, Bredene, De Haan, Wenduine) are reachable in about 15 minutes. 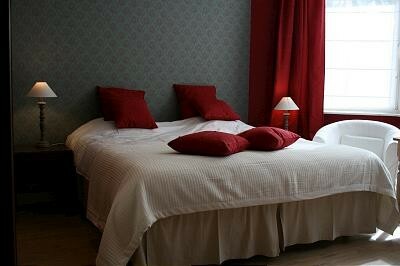 We have 4 well appointed spacious guest rooms (+ / - 30 m2). Each room has its own bathroom - two rooms with bath / shower and toilet, 2 rooms with shower and toilet. For families, two family suites consisting of a guest room with connecting bathroom and children’s room (bunk beds). The breakfast is served in our cozy breakfast room. On the other side of our B & B there is a budget-friendly family restaurant. • Ensor (2p) (+ / - 25 m2) with balcony and view to the windmills of Bruges port. Includes separate bathroom with bath and possibility for an adjoining children's room with bunk bed for 2 children. Family room for 3 - 4 - 5 persons. Rates per room throughout the year: € 80 per night for 2 persons (minimum 2 nights). € 15 supplement for one night. On request rate per weekend, midweek, week and expansion with additional room. Meals, snacks, etc. may bistro restaurant opposite. 3 courses grill menu à € 36 (wine inclusive). a full breakfast is included and can be taken in the spacious lounge. On the other side of our B & B is a bistro - family restaurant at budget-friendly price. Other restaurants in the immediate vicinity. Bike Shed present. Bicycles can be rented. Starting point for many bike rides to the coast and Bruges. Charge Point for electric bikes. No experiences yet with Bedandbreakfast Ter Brugge + restaurant. Be the first! 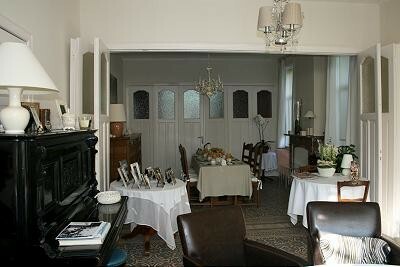 Did you stay in Bedandbreakfast Ter Brugge + restaurant? Let us know what you thought about it and help others to make the right choice! * I confirm having stayed in Bedandbreakfast Ter Brugge + restaurant.